The English Lake District is one of the most beautiful and spectacular parts of the British Isles. Mountains tower over lush valleys and deep lakes. There’s a long and proud brewing tradition in these parts, and some excellent pubs. Hawkshead Brewery supplied me with a couple of excellent pints – Lakeland Gold and Red. Red was on tap, a deep amber colour, bitter, sweet and very good indeed. Lakeland Gold, bottled, was extremely bitter and fruity. Lakeland Gold amassed a wealth of awards and nominations over the last couple of years, all justified. 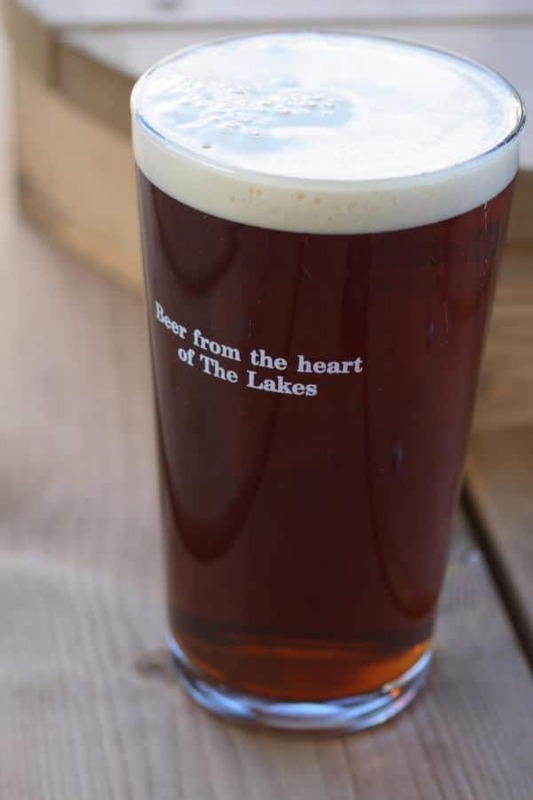 Both Red and Lakeland Gold were extremely successful beers, especially when drunk in the garden of a tiny pub in Borrowdale valley on a sunny afternoon in the shadow of the mountains. 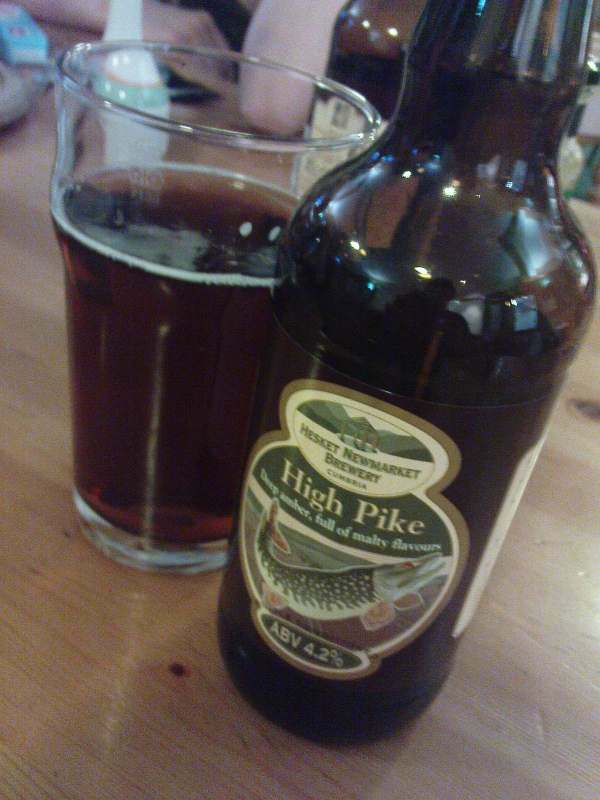 Hesket Newmarket Brewery’s High Pike was another gem – bottle conditioned, a bitter and complex beer with a nutty taste and a lingering slightly chocolaty aftertaste, which comes from a mix of three different hops. Hesket Newmarket Brewery is a remarkable story in itself. A co-operative, owned by the villagers of Hesket Newmarket (bus service – once a week), the brewery has breathed life into the village and produces some superb beers, gaining the approval of Prince Charles along the way.